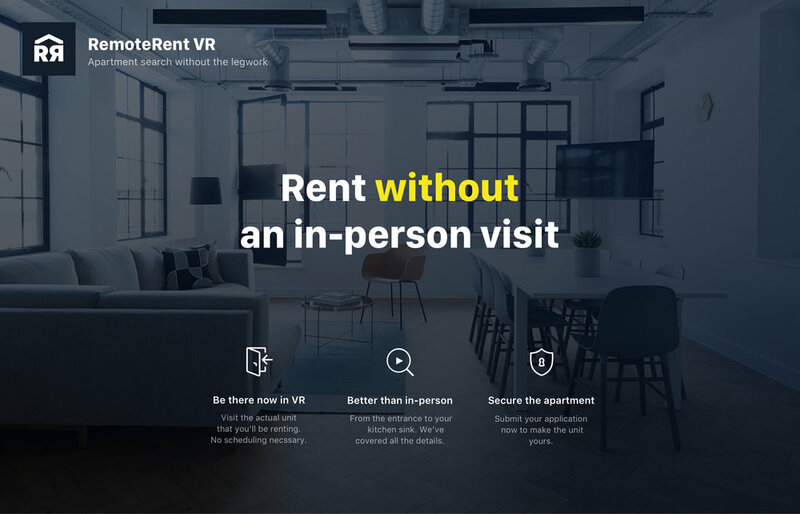 Remote Rent VR is a rental services that allows potential tenants to virtually visit properties anytime, anywhere. The project is initiated solve the problem of tenants and landlord as 1 out of 4 potential tenants is located 50 miles away, making it difficult for landlords and tenants to connect in person. For this project, I mainly led visual design as my primary responsibility was to work on Amaze Gear VR. Responsible for visual design of the main site, marketing page and branding design. 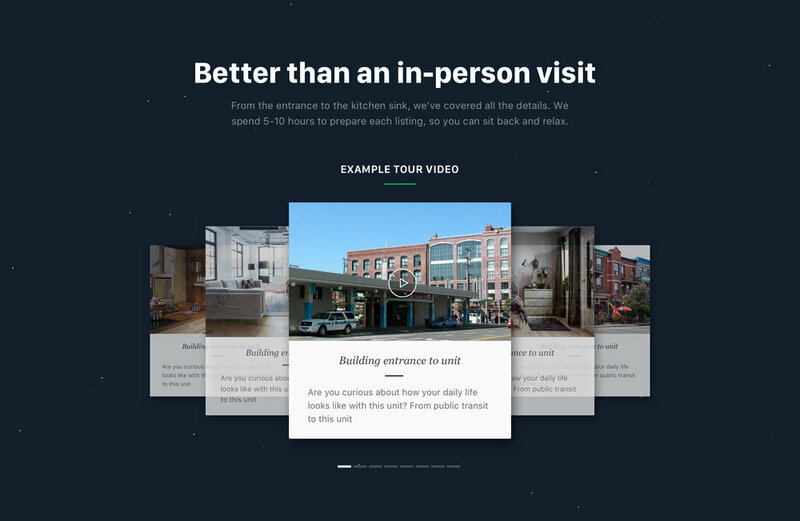 Participated as a hands on Visual designer in entire process including research, concept creation, sketch, styling, motion, prototyping, and implementation. The Marketing page start with the pain points of potential tenants to emphasize with users at the beginning. 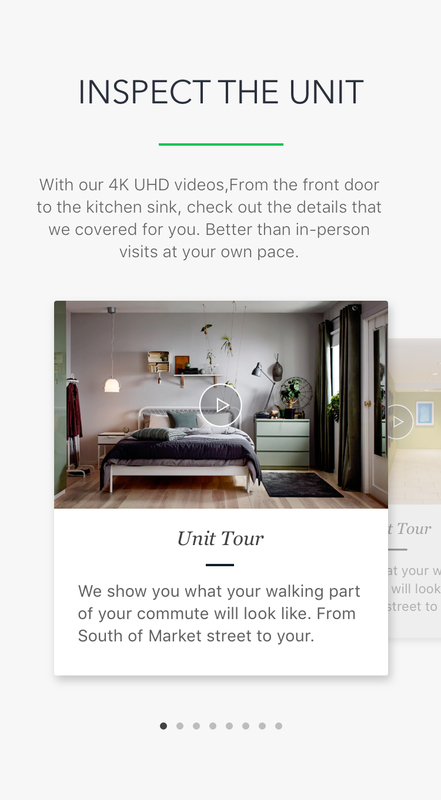 Then, the marketing page conveys the main value of the service, rent without in-person visit with a VR tour and with video tour videos, so tenants who lives far away don't necessary need to visit a property. The listing page provides the information while acting as a marketing page as users might come to this link without going through the marketing page. 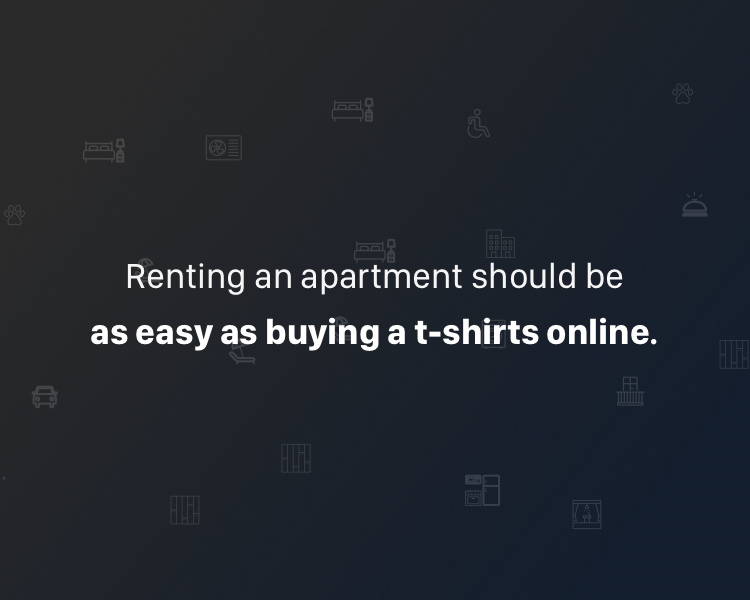 Remote Rent aims to be one stop shop for the rent. If a tenant wants to apply for the rent, they can submit the form within the page. To accommodate this requirement, the custom form for the site was designed.